Home equity loans allow homeowners to take out a loan using the equity accumulated in their home as collateral. Home equity loans give you quick access to money that can be used for a home remodeling project, medical bills or college tuition. A home equity loan can be more advantageous than opening a new credit card account or even taking out other types of loans. However, your home is probably your largest asset, so using it as collateral must be done carefully because, while taking out a home equity loan has great benefits over other types of loans, it is also risky. There are two types of home equity loans: the home equity line of credit (HELOC) and the home equity loan (HEL), both of which are taken out against the equity in your home. A home equity loan features a fixed-rate interest rate, and is paid out in the form of a lump sum of money, which will be repaid during an agreed upon period of time. This type of home equity loan is a good choice for those who need a large amount of money at once, for paying medical or college bills, or for home renovations. A home equity line of credit is a more flexible alternative, where the money is received as a line of credit, much like a credit card, but with a lower interest rate. Home equity lines of credit have an adjustable interest-rate, which changes every month, making them a riskier choice than home equity loans. With this type of home equity loan, you can make interest only payments until the draw period is over, but the disadvantage is that you won’t build any more equity in your home. 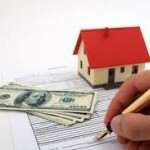 Both types of loans normally allow you to take out up to 80 percent of the equity in your home. Both these loans are also considered second mortgages because they are connected to your primary mortgage. Lenders risk more with home equity loans because, in case of a foreclosure, the primary mortgage is paid off first from the proceeds of selling the property. Easier to apply. Compared to regular loan, applying and getting approved for a home equity loan or home equity line of credit is much quicker, especially if you have a good credit score and a good relationship with your lender. The interest is tax-deductible. Having a tax-deductible interest makes home equity loans a much better option than credit cards and a good alternative to other types of loans. Low interest rates than credit cards. Another reason to choose a home equity loan over a new credit card is the lower interest rate. Rates might not be as low as rates on traditional loans, but they are much lower than the rates offered by credit cards. Access to a large amount of money. If you have a significant amount of equity in your home, taking out a home equity loan gives you quick access to a large amount of money that can be used for a number of things such as paying medical bills or making improvements to your home. You can end up owing more on your loan. If the house market tanks and the value of your home decreases, you can end up owing money on your loan even after you sell the home. You can lose your home. Not being able to make the payments on your home equity loan will result in foreclosure, so be careful when taking out this type of loan because you can end up losing your home. Having access to money without having to sacrifice your investments or retirement accounts sounds good, but it doesn’t come without risk. While home equity loans are very advantageous for those who can afford them, they also can be very risky for those who don’t have enough knowledge about these types of loans. Before taking out a home equity loan, make sure that you understand all its pros and cons and how they will affect you.